Why use back-up tracks for music classes? 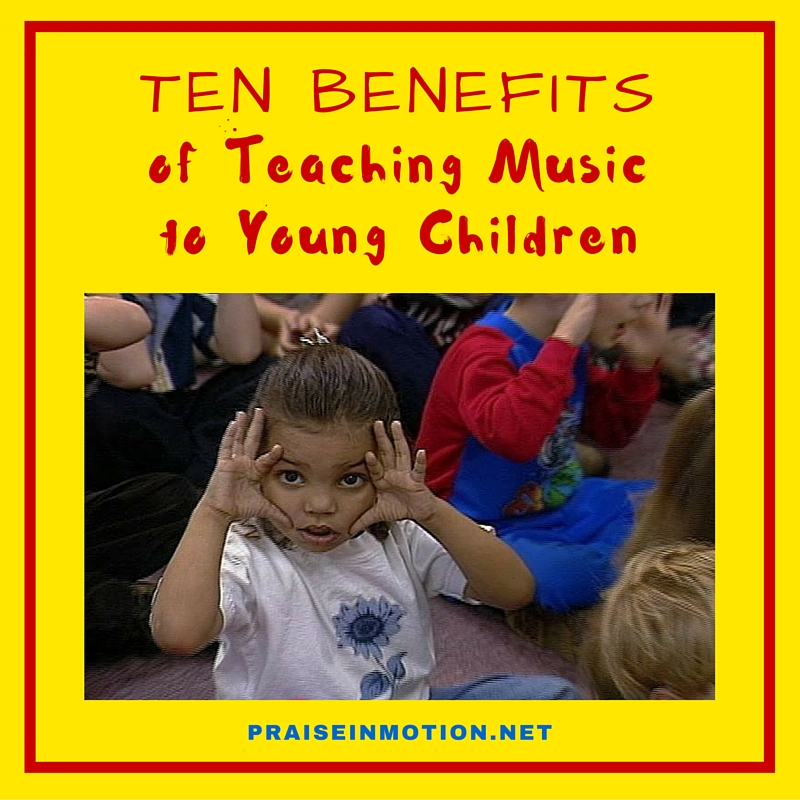 I received an email yesterday from someone wanting to know if we had a music song book for the Praise in Motion songs so that she could accompany her students on an instrument. I want to share my heartfelt response to her. Thanks for your interest in Praise in Motion Music and for asking about song books. We don’t have any plans to produce notation for the Praise in Motion songs and I’d like to explain why. We made the decision to produce back-up tracks intentionally, as a way of keeping the teacher free to use her hands and participate with the children as they do the motions to the songs. When I started teaching, I used the guitar to sing some songs with the children and found that my students would lose attention after only a few songs. When I used back-up tracks and participated with them, I was able to build my sessions up to 40 minutes–and the kids still wanted more. I enjoy playing guitar and piano, but I know from 15 years in the classroom that students really respond to a teacher participating and having fun with them. The added support of the children singing on the tracks helps students to sing out with more confidence. The sounds and the beat on the tracks creates excitement. Our Performance Tracks are made with split track capability, so that the voices can be tuned down or out…if you want to hear more instruments and less vocals, although I’ve found that students still tend to sing out more with a little of the vocals left in the mix. 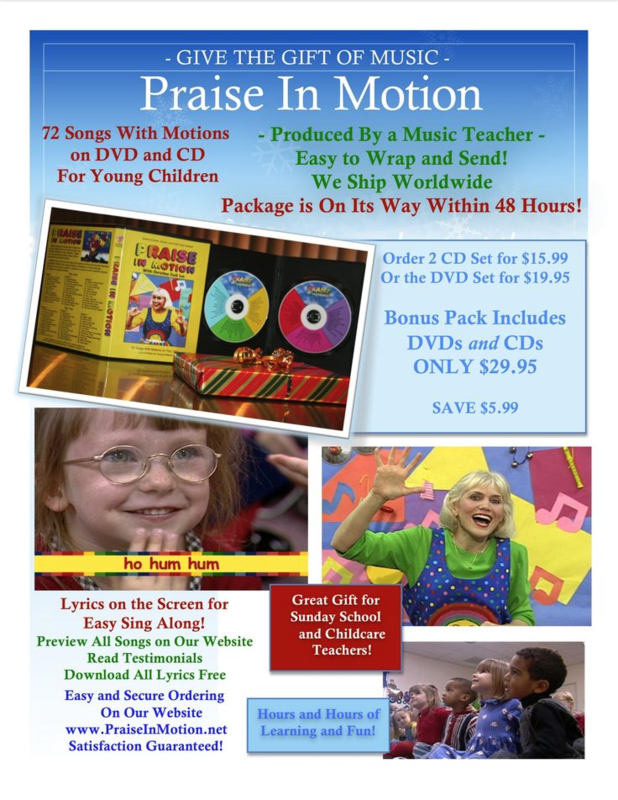 I’m not just trying to make a sale, but wanting you to grasp the vision of what Praise in Motion is all about and why it is so successful with teachers and students worldwide. Thanks for taking the time to read my response and I wish you a rich teaching experience and God’s blessing.